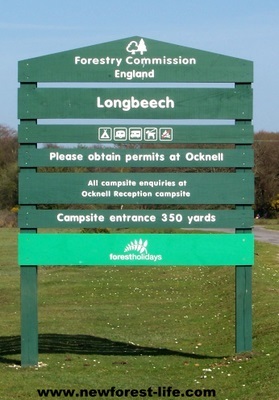 Ocknell Longbeech Caravan Parks offer different, but both really beautiful camping experiences and are on opposite sides of the road to each other. The choice divides into a woodland choice at Longbeech with shady glades or a more open heathland setting on the old Stoney Cross airfield site which has more choice of hardstandings. 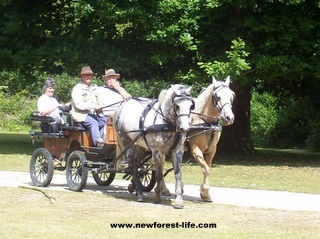 Both offer you wonderful walks and cycling and up close New Forest ponies and wildlife. 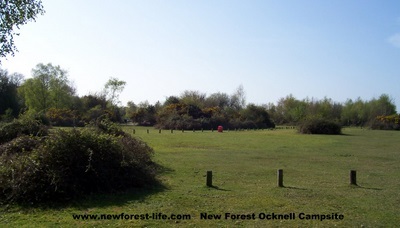 Ocknell is a heathland site with spectacular views of the surrounding countryside. Longbeech is tucked away in an ancient beechwood .Recently, I visited Longbeech and saw this lovely caravanner enjoy the beautiful beechwood setting. I realised just how much I miss our holidays away in our caravan - despite living in this wonderful place! Campsite Managers Irene and Dave have transferred from Roundhill camping ground and so has their fantastic Information Centre. Update: Please check when booking as the managers do move around each year. Hopefully on your stay you'll be able to find out about the wildlife, history, war time history, true stories and lots more info from the fantastic display of information just like Irene and Dave have set up here. Both sites are only 16+ miles from Salisbury and Stonehenge where you can discover its Roman history, see the medieval buildings, and visit the magnificent Cathedral. Please note Stonehenge is north of Salisbury and approximately 10 miles more for your journey - why not make a day out of both places? Ready to Book or find out more? If you are fascinated by WW2 history you'll love staying at this site. It is where WW11 Stoney Cross Airfield was situated during World War Two. The water tower still remains and the site is partly laid out on the old runway and other areas of this wartime relic. 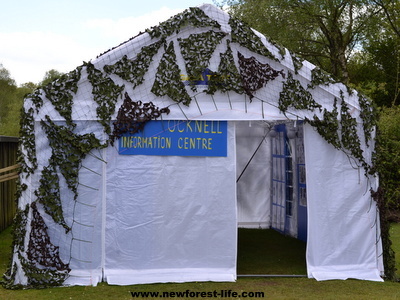 For details of all the WW11 New Forest Airfields and lots, lots more! 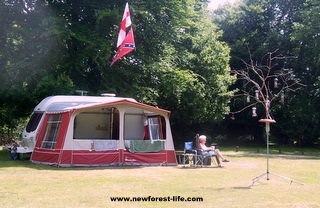 I hope you enjoy staying at either of these lovely New Forest campsites and that you take home lovely memories of this beautiful UK National Park.